Works with 5V, 3.3V, 2.5V, 2.0V systems. May work with 1.8V but not recommended. Error/Accuracy: pulse-width measurement: +/- 42ns (at 24MHz). 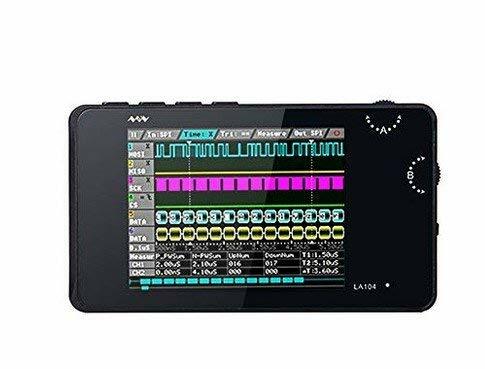 LA104 is a 4 channels logic analyzer with a built-in screen and battery. 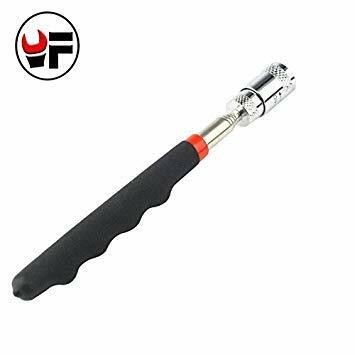 The shell is made of a CNC machined aluminum alloy. 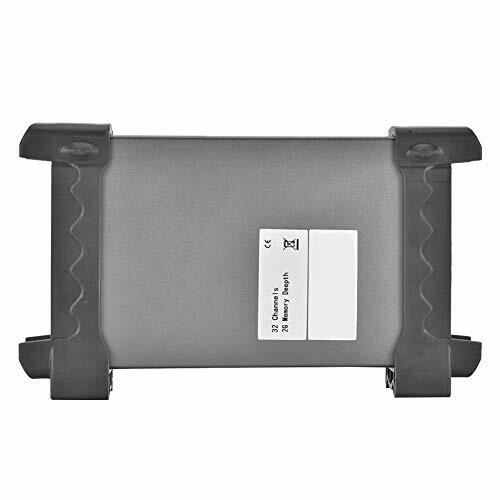 With its compact and portable design, this unit provides a versatile and powerful solution to your analyzing needs! Compact Design: Equipped with a rich 2.8" 320x240 TFT display and side thumbwheels allow for easy operation and navigation. Wide Application: Analyze UART, I2C, SPI, and many other standard protocols accepted. This unit is specially designed for UART, SPI, I2C, and other communication debugging. Portable: Its small form factor conveniently fits inside any pocket so it's always ready on the go! Easy Saving: The built-in 8 MB flash storage makes saving images and transferring data easier than ever! 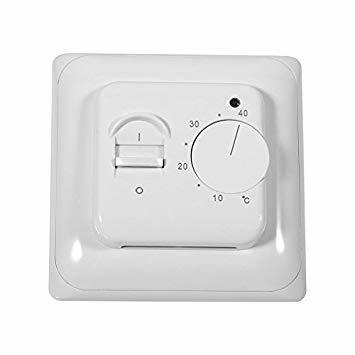 Simple to Use: Product instructions are provided, but if you have any more concerns, SainSmart provides more details in their wiki page and customer assistance with any questions that may arise! This case is designed to prevent dust, dirt, and lint from getting in. 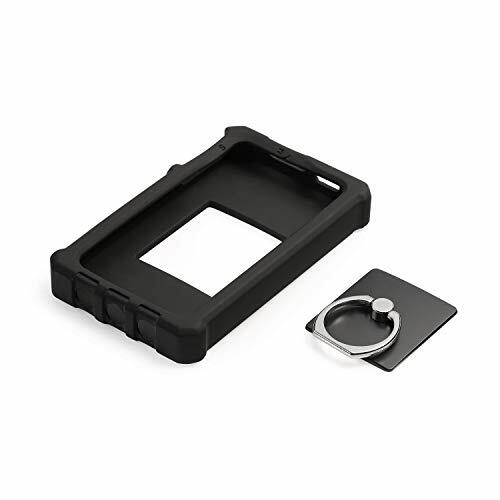 With this protective case, you needn't worry about your LA104 accidental drops or wear. The silicone case is generally made of rubber, it is soft and flexible. 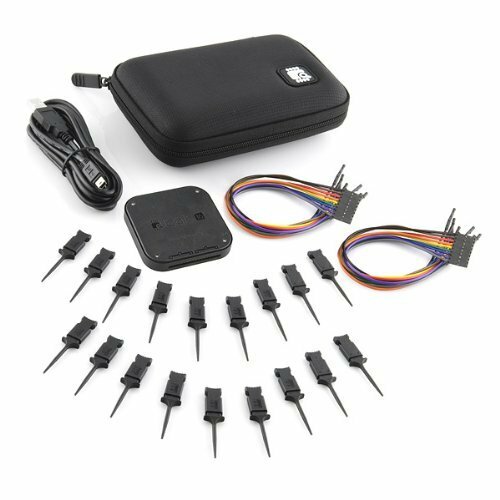 This kit contains 12pcs SMD IC 6 Colors Test Hook Clips which are ideal for using this 24MHz 8CH logic analyzer. You can download the Open Source Pulse View project from https://sigrok.org/wiki/PulseView It provides a very nice GUI Logic Analyzer and protocol decoder. If you are doing microcontroller, ARM system, FPGA development, we highly recommend you purchase this product! 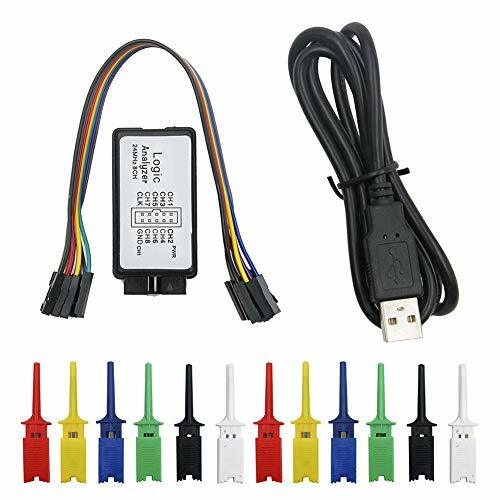 This item will help you solve your problem when you do MCU related products, especially for UART, SPI, IIC and other communication debugging. 9 parallel measurable signal inputs (0-5 V) at up to 24 million measuring steps per second. This is a powerful logic analyzer in a very small anodized aluminum package from Saleae Logic. We absolutely love the simplistic, sleek design with light-weight software and a high-quality finish. 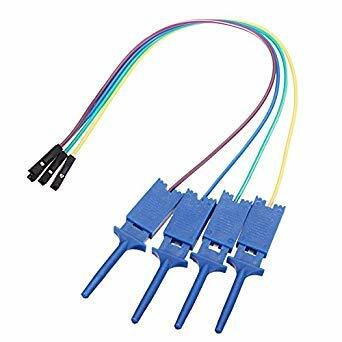 Who needs 50+ connections when you're troubleshooting I2C? 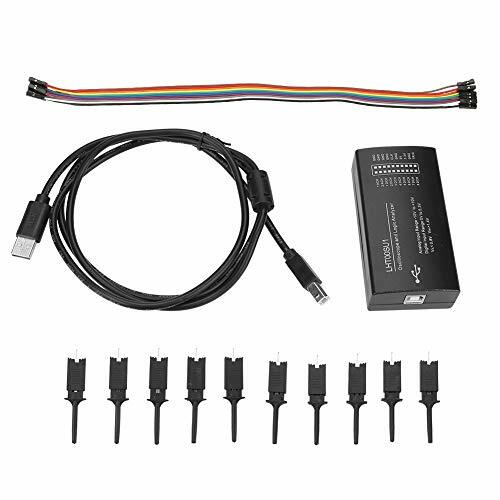 With USB connectivity, you can analyze up to 8 digital waveforms and timing information on your I2C, SPI, serial, and digital IO lines with ease. Great for those reverse engineering projects as well. 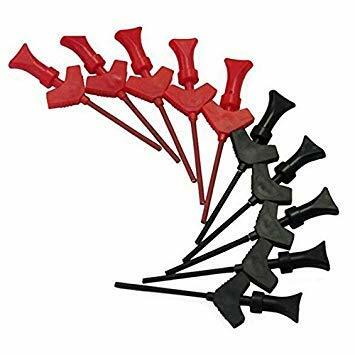 Works with signals 5V or lower! Unit is fully over-voltage protected, as well as protected against failures from plugging USB 5V into the unit's ground. Software is available for Mac, Windows, and Linux. Error/Accuracy: pulse-width measurement: 42ns (at 24MHz). The logic for each channel sampling rate of 24M/s. General applications around 10M, enough to cope with a variety ofoccasions; 8-channel. Input Impedance: 1Mohm || 10pF (typical, approximate); Crystal: 20ppm, 24MHz. Saleae Logic16 is a 16 channel logic analyzer. 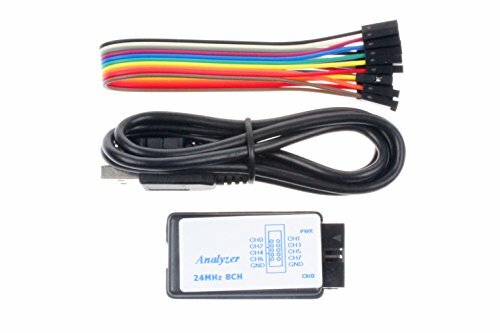 You use a logic analyzer to monitor the signals between microcontrollers and other parts of an embedded system. The Saleae Logic16 samples at up to 100MHz, can record billions of samples, and automatically decodes the SPI, I2C, Serial, CAN, 1-Wire, I2S, PCB, UNI/O, and Manchester protocols. Flexible sample rate Sample 2 channels at 100MHz, 4 channels at 50MHz, 8 channels at 25MHz, or all 16 channels at 12.5MHz. 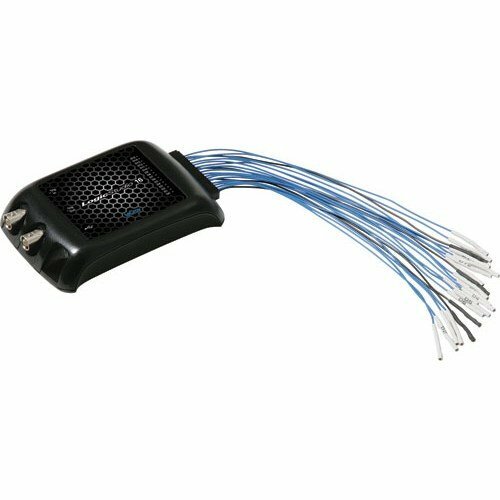 Comes complete Logic16 includes everything you need: x2 ultra-flexible 1x9 22AWG 64/40 wire harnesses, 18 high-quality micro-hook probes, a USB cable (2 meter mini-B to A), and a nice carrying case. Billions of samples Logic16 can save as many as 10B samples, letting you capture even the most elusive events. No more dealing with frustratingly small sample buffers. Logic analyzers are known to be slow, complicated and expensive but LogicStudio changes all this by delivering a powerful feature set, high performance hardware and an intuitive point and click user-interface. With timing cursors, history mode, I2C, SPI and UART decoding, powerful triggering and simple navigation the PC is transformed in to an all-in-one debug machine. 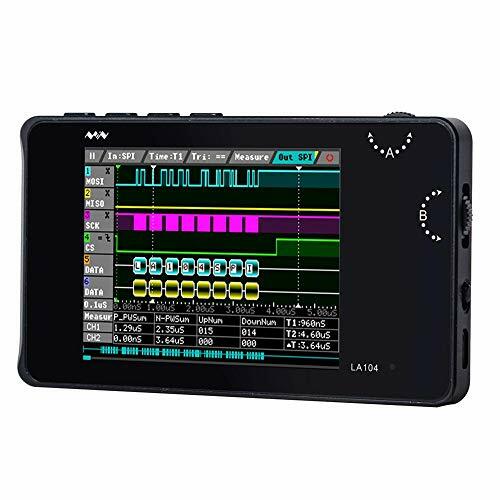 pair the LogicStudio 16 with a wave jet 300A oscilloscope and debug systems with analog, digital and serial data signals. LogicStudio is fast, waveforms update quickly and panning or zooming is extremely responsive. The software interface is modern and intuitive creating a new logic analyzer experience. For difficult problems a simple edge or logic level trigger is not enough. LogicStudio advanced triggering provides an environment for creating powerful combinations of edge, logic level, parallel bus and serial bus triggers to isolate difficult problems. Use all 16 channels at 500 MS/s or 8 channels at 1 GS/s for more timing resolution. Sample rate: 1GS/s on 8 Ch, 500 Ms/s on 16 Ch. Minimum detectable pulse width: about 3.75 ns. Memory: 40k points on 8 Ch, 20 kpts on 16 Ch. Trigger types: Edge, pattern, pulse width, pattern width. I2C, SPI, UART. Threshold selections: TTL, CMOS(1.8V, 2.5V, 3.3V, 5V), User defined. User-defined threshold range: 0-7V. Maximum survivable input voltage +/- 40VDC. Threshold accuracy +/- 150 mV + 5 percent of threshold. Maximum Input dynamic range: 40 V pk-pk. Minimum voltage swing: 500 mVpk-pk. Input impedance: 150k parallel 12pF. Channel-to-channel skew: 1ns typical. Trigger resolution: 500MS/s. Host port: USB 2.0, bus-powered peripheral. Measures 3-3/16" width by 4-57/64" height by 1-3/32" depth. 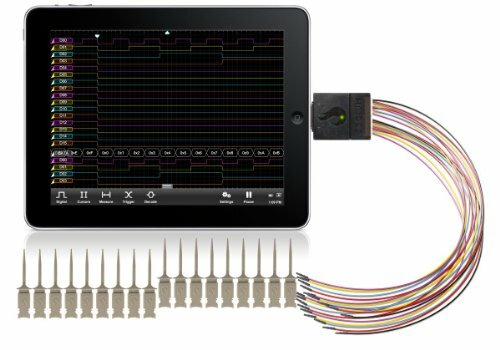 LogiScope transforms an iPhone, iPad or iPod into a 100MHz, 16 channel logic analyzer. 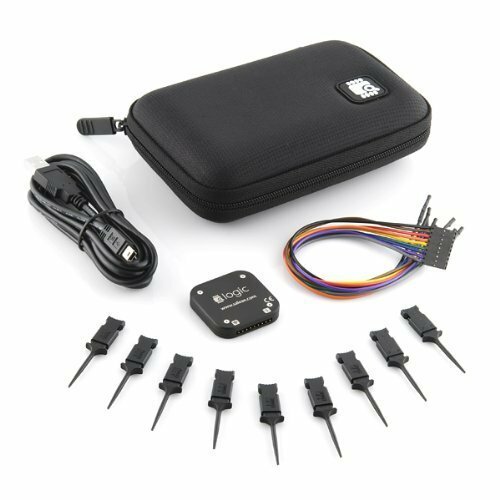 Not only is it the most intuitive logic analyzer available, the triggering is so powerful you'll be able to count the hair on your bug. Download LogiScope in the App Store and test drive the interface for free. Note: If your system is WINDOWS XP, please check whether your computer has ".NET 3.5 SP1" this component, if not, go to the website to download and install. Note: Please kindly make a note if you need any plug adapter. 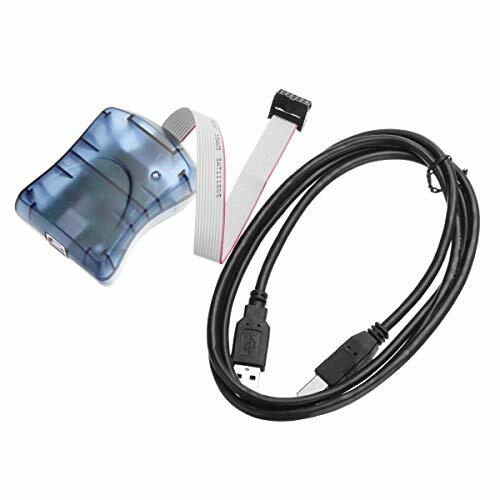 Hantek4032L combines the function of logic analyzer, bus analyzer, and logic probe etc. in one. It's suitable for various digital circuits development, testing, analysis and debug, is an able aider for electronics development & electronic measuring engineers, and teaching and research work at college. 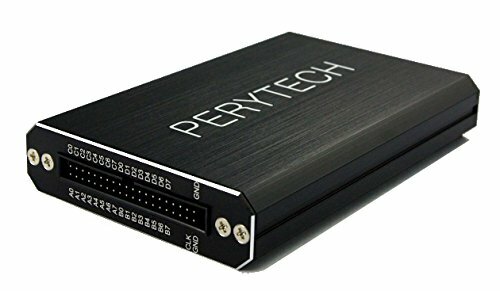 It's 2Gbit memory depth (DDR2), 400MSa/s sampling rate, and 150MHz bandwidth can meet your various needs. The innovative trigger mode and new analysis measurement tool make your measurement simple and efficient. It can set edge, level, bus, data width etc. Trigger mode, easy to use.